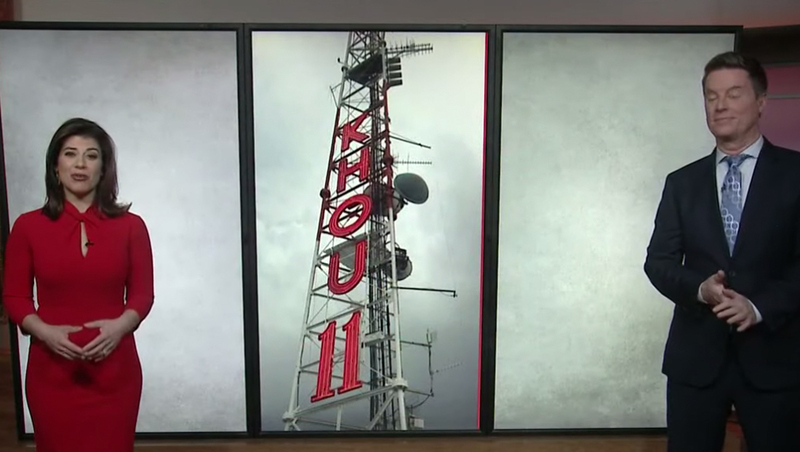 For decades, drivers zipping along the Allen Parkway that serves as a major east-west thoroughfare in Houston were able to spot the prominent red “KHOU” call letters mounted on the side of a tower that climbed up one side of the station’s building. However, since the building was heavily damaged by flooding from Hurricane Harvey and KHOU made the decision to sell the building — which has since been demolished — the letters have disappeared from the skyline. 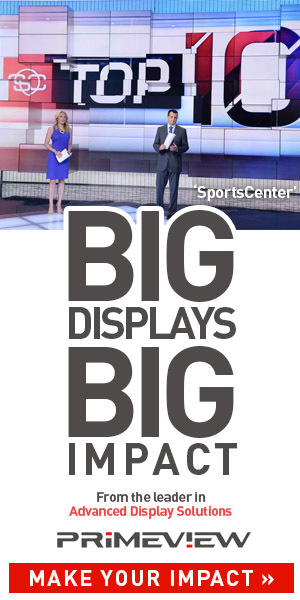 Now, despite being miles from their original location, the letters have found a second life at the station’s new studios — and are still in the “sky” so to speak. 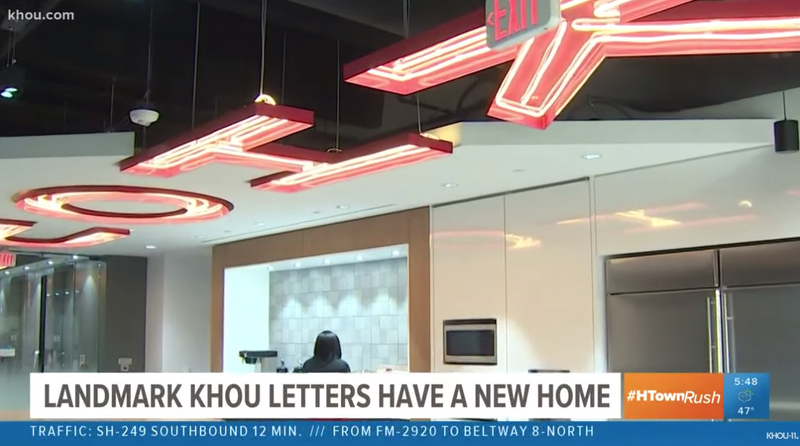 The bold red letters, which were originally mounted on the side of a vertical tower reading K-H-O-U from top to bottom, are now mounted face down from the ceiling above the station’s newsroom cafe and break area. The “K” is suspended from the open ceiling, while the “H” is partially interlocked with a drywall ceiling that diagonally intersects the area, which also features a coffee bar, microwaves, refrigerator and an island for eating. Overall, the new home for the letters is essentially a ceiling art installation that hovers over what is likely to become a popular area in the building — letting the staffers of today and tomorrow remember the station’s heritage. The weathered letters were removed from the station’s old tower and sent to Houston Sign Company for refurbishing. In addition to undergoing repairs to the surface, the neon lighting was replaced with LED that mimics the look of neon tubes, keeping the classic, retro look while also being more energy efficient. It’s worth noting the “11” that was near the base of the tower was not installed in the break area.